Is there a chance to have a splash screen that doesn't feature a woman? Or at least, the option to disable/ make a custom splash screen? I'm religious, so the AP splash screen - which features a woman - is kind of problematic for me personally. Sorry, but I seriously hope Serif ignore this request. A human face causes offence wow, let's remove women from all advertising, actually let's remove them from the streets too!!! To the OP suggest you put a paper beg over your head for thirty seconds whilst the program starts. PLEASE read this advice cautiously. For a whole lot of reasons, I probably should advise you NOT to do this. But, if you have a Mac, replacing the splash screen is fairly straightforward. Understand, however, that (1) you are on your own! ; and (2) if you don't do everything right, you can easily ruin the application. IF you try this, do it on a COPY of the application, and save the original somewhere so that you can go back to it if you need to. Also, with all deference to harrym above, I too find the need to hide a woman's face completely unnecessary. But I recognize your need/desire to do so. If you have a Mac, and working on a COPY of the application, right click the app icon and choose "Show Package Contents." Open the folder called "Contents," and then open the folder called "Resources." Find the file called "Splash@2x.png" This is the graphic for the splash screen. Select it, copy it, and paste it on your Desktop. Using AP, you can change it to anything you want. DO NOT change the size of the graphic, and be sure to export it as a PNG when you're done. Right click your new graphic and copy it. Get back to the Resources folder inside AP, using the same method noted above. Right click in that folder and Paste the new graphic inside. When asked if you want to Replace the older file with the newer one, say yes. You will need to type an Administrator password to let you do this. 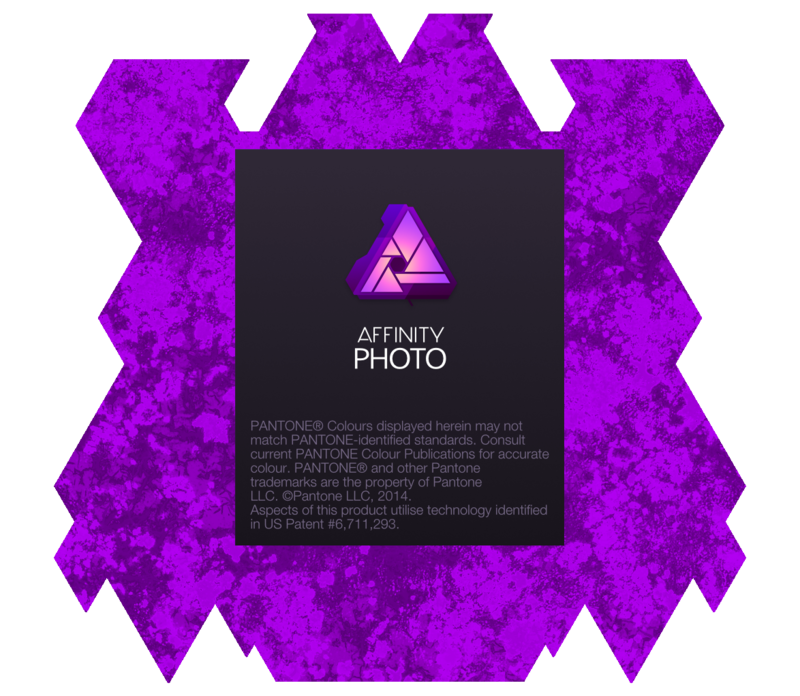 When you now re-start Affinity Photo, the new graphic should have replaced the old one. I've attached a graphic you can use if you want. Once again, I have to advise you to IGNORE all this and live with the program as it is. But, if you must, the graphic can be replaced. PS - If you are working on a Windows desktop, I believe you're out of luck. Wow. I certainly hope you guys never hold a belief that others find unpopular. What i ment is not about belief, but just about that in 2017 all humans should be equal. The only practical solution to this problem has been given for the Mac user. There is no equivalent solution for Windows AFAIK, and an option will not be added to the app. As such I am locking the thread.